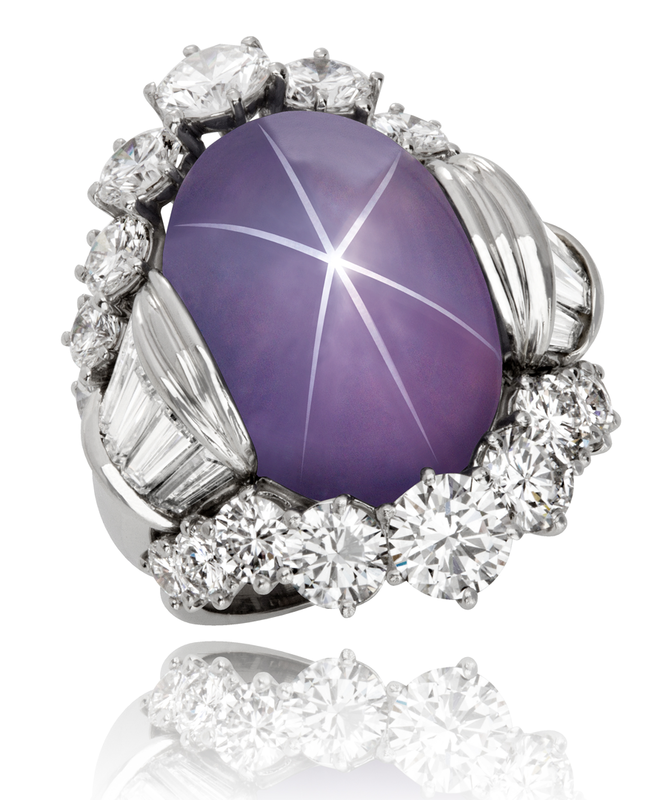 Star Sapphire weighing 31.64cts. surrounded by 28 diamonds weighing 6.60cts. set in a platinum ring.